Graduated senior Katin Reinhardt shields his dribble against Providence. The Friars are one of the most talented teams in this year's BIG EAST. 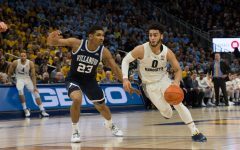 It’s not often that a program loses two starting seniors – one of them to the NBA – and becomes deeper the next season, but that’s what Villanova seems to have done. 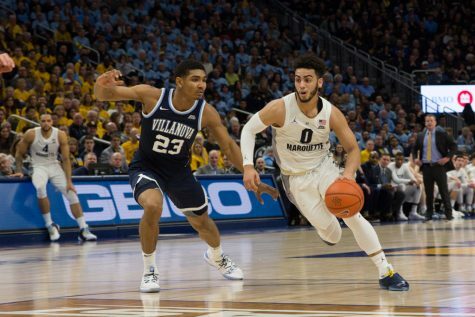 The departures of campus legend Kris Jenkins and NBA wing Josh Hart may stagger the Wildcats at first, but their assets more than make up for their losses. VIllanova’s best player is junior point guard Jalen Brunson, who was second on the team in scoring with 14.7 points per game last year. Brunson emerged as a leader by example last season and is by all accounts one of the smartest players in college basketball. The team’s two biggest problems from last year, lack of size and lack of depth, will be solved by the addition of freshmen Omari Spellman and Jermaine Samuels. 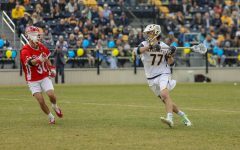 An academic redshirt, Spellman brings a post presence that was sorely lacking last year. Samuels comes to Villanova by way of Weston, Massachusetts and looks like the next great Wildcat wing player. With all that talent, it’s no wonder the Wildcats were unanimous picks to win the conference in the preseason coach’s poll. 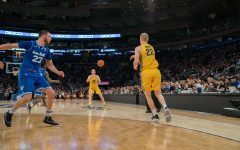 A team returning four of five starters and its top three scorers from an NCAA Tournament run generally continues that success the following season. The 2017-’18 Seton Hall Pirates should be no exception. Senior center Angel Delgado will likely reprise his role as one of the best big men in college basketball. Delgado was second in the country in double-doubles last season, trailing NBA rookie and former Purdue big man Caleb Swanigan by one game. His footwork and sense for rebounding angles are both sublime and should make him a threat to every team in the conference. To turn the corner, the Pirates are going to need to get much better at free throws. They shot 64.3 percent from the charity stripe, ranking in the bottom-20 in the country. The biggest culprit was Delgado, who shot the most freebies on the team despite converting just 55.6 percent of them. Aside from that weakness, this is a well-rounded, experienced Pirates team that should stay in the top 25 all year and grab at least a No. 6 seed come tournament time. Picked third in the preseason poll, Xavier will be another tough matchup for every team in the BIG EAST. The Musketeers return top scorers Trevon Bluiett and J.P. Macura. 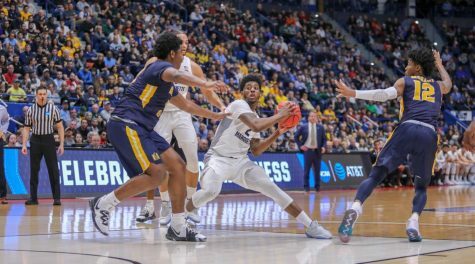 Xavier lost six of its last seven games to end last season but turned its season around in the NCAA Tournament, reaching the Elite Eight. While Xavier lost explosive point guard Edmond Sumner to the NBA Draft, the Musketeers are still a formidable opponent. The Musketeers gave up 71.3 points per game, smack dab in the middle of the conference. That figure should improve more this year as Paul Scruggs, a freshman point guard with a scoring profile similar to Sumner’s, joins the team. Bluiett, a preseason NBCSports All-America second team honoree, will be a player to watch out for this season. The senior from Indianapolis also received a spot on the All-BIG EAST first team. He’ll certainly make the Musketeers fun to watch, and expect another deep run with this veteran-laden squad. “Intriguing” might be the best term to describe this year’s Providence Friars. They have the balance and maturity of last year’s squad with a few new wrinkles thrown in. None of the new wrinkles are more noteworthy than freshman guard Makai Ashton-Langford. Ranked 40th by 247Sports, Ashton-Langford is the second-highest ranked player in his class to go to a BIG EAST school. He is listed as a point guard but plays like a scoring combo guard. He’s been known to commit his share of turnovers, though, so reigning that in will be critical to Providence’s success. Nate Watson and Dajour Dickens join Ashton-Langford as part of a three-man freshman class. 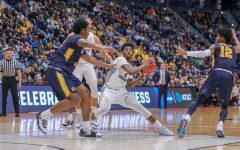 With senior forward Emmitt Holt battling an abdominal injury, Watson and Dickens may be pressed into service sooner than expected. Seniors Rodney Bullock and Kyron Cartwright, a pair of second team All-BIG EAST honorees, will also need to step up. Head coach Greg McDermott will have his hands full this year replacing two NBA-caliber players in Maurice Watson and Justin Patton. Watson, who used his final year of eligibility, helped Creighton begin with to an eye-popping 18-1 start last year. After Watson suffered a major knee injury, the Bluejays were never the same, finishing the year 7-9. 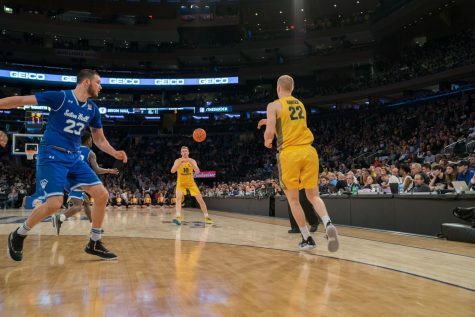 Freshman center Justin Patton, who declared for the NBA Draft, had the highest field goal percentage among players in one of the six major basketball conferences. The absence of Watson and Patton leaves shooting guard Marcus Foster as the clear-cut leader for the Bluejays. 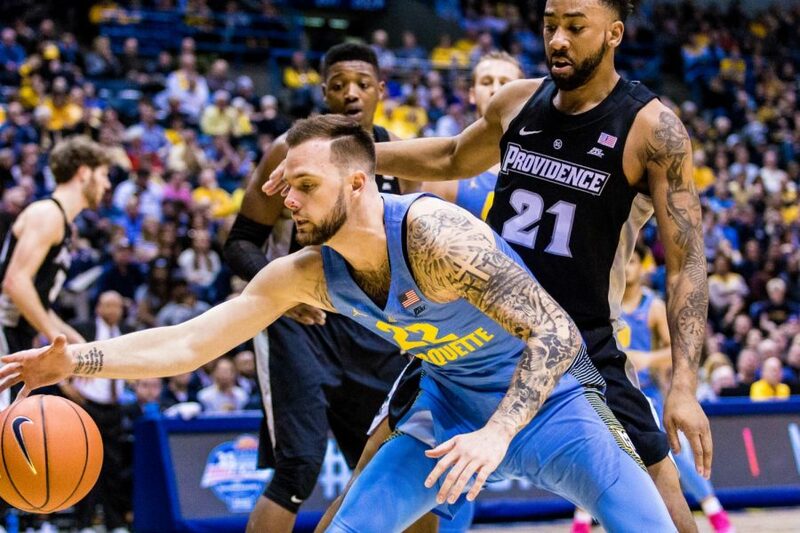 Excluding the team’s first round March Madness loss, Foster averaged 19 points per game after the Watson injury. Foster will have the help of a top 30 recruiting class featuring four four-star prospects, according to 247Sports. Creighton is also returning two other starters: Khyri Thomas and Davion Mintz. When it comes to making a big play on defense, St. John’s is the prototypical team. The Red Storm return BIG EAST steals leader, sophomore guard Shamorie Ponds, and the conference blocks leader, redshirt junior Tariq Owens. When it comes to playing defense consistently, St. John’s is absolutely not the prototype. The Red Storm gave up a conference-high 78.7 points per game last season and ranked last in defensive rebounding. The same qualities that made Ponds and Owens so good at creating highlight-reel plays also worked against them. Owens would easily get baited with pump fakes and opponents blew past Ponds while he was gambling for steals. If St. John’s can get its defense in order, they may have enough offensive firepower to flirt with the NCAA Tournament bubble. Ponds and fellow guard Marcus Lovett were both among the top 10 points per game in the BIG EAST last season. Senior wing Bashir Ahmed was productive last year as well, dropping in 13.4 points per contest. Marquette made a name for itself with its 3-point shooting last year in its return to March Madness. 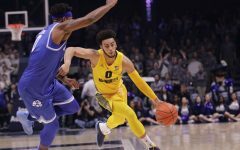 Three key players to the team’s success will be back for the 2017-’18: sophomores Markus Howard, Sam Hauser and redshirt senior Andrew Rowsey. Howard was the most efficient 3-point shooter in the country last year while Hauser and Rowsey hovered around 45 percent from long distance. 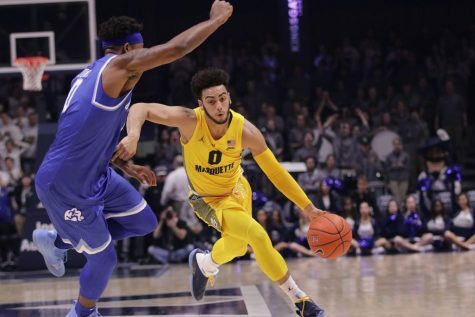 The biggest question mark will be whether Marquette can improve its defense after a shabby showing in 2016-’17. 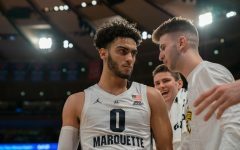 Marquette ranked 165th in the country for adjusted defensive efficiency, according to KenPom. 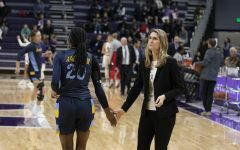 The Golden Eagles also finished outside of the top 150 in effective field goal percentage and turnover rate, among other advanced defensive stats. 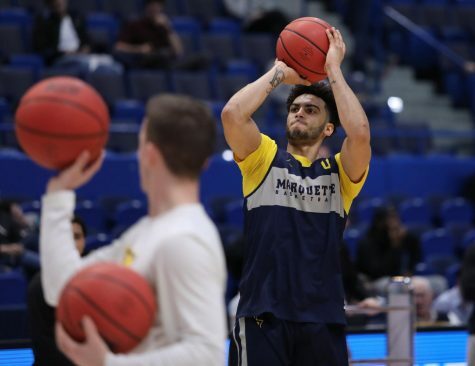 After playing small ball last year, Marquette now has the personnel to play more traditionally. Freshmen Theo John and Ike Eke, both of whom are over six-foot-nine, should contribute an immediate boost to the team’s physicality. Sophomore Southern Methodist University transfer Harry Froling will be eligible midway through the season. The Bulldogs came out of the summer break with a completely new program and players. LaVall Jordan left the University of Wisconsin-Milwaukee to become Butler’s head coach after Chris Holtmann bolted to Ohio State. While Butler is coming off a 25-9 season and another NCAA Tournament berth, the program lost four of its top seven scorers from last season. 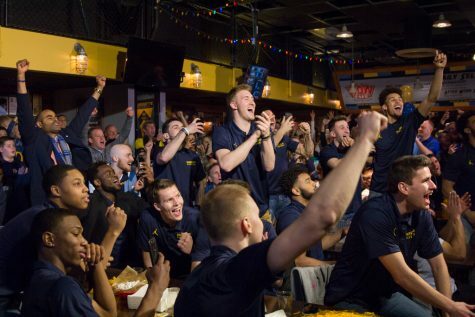 It will take a mammoth effort to ensure a return to the NCAA Tournament in March. A major question for Butler is who will step up as a leader. Seniors Kelan Martin and Tyler Wideman are on the quieter side but will have to get a bit more vocal this year. 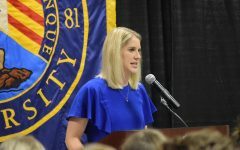 Butler added seven new players and will be about where Marquette was in Wojciechowski’s second year when the program had five freshmen. While the storied Hinkle Fieldhouse is known for producing one of the best atmospheres in college basketball, don’t be surprised if it takes a slight break in excitement this season. Georgetown is a team in need of saving after last year’s 14-18 showing. 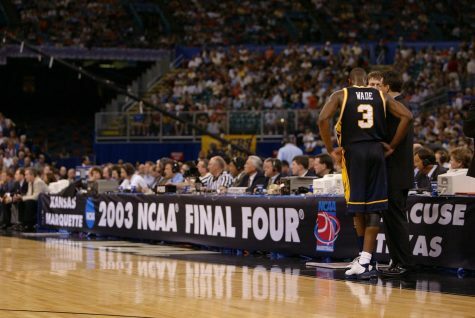 The program responded by firing John Thompson III and bringing in its most accomplished basketball alum, Patrick Ewing, to be its new head coach. The Hoyas have the weakest non-conference schedule in the BIG EAST. They play seven teams ranked 320 or worse, according to college basketball analytics site KenPom. That’s not a good look for a program that wants to return to the ranks quickly. There’s not much to write home about for the Hoyas, and understandably so, as they are in full rebuild mode. 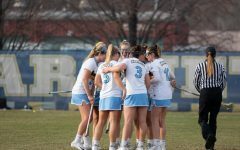 The program has struggled to maintain its national brand and fill the Verizon Center for several years. The cupboard is truly bare for the Hoyas, and fans will have to be patient as the program will undoubtedly take a few years to compete again in the BIG EAST. 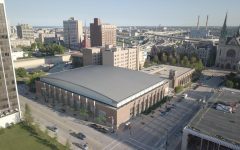 The Blue Demons are debuting their new 10,387-seat Wintrust Arena this year, but that’s just about the only exciting thing going on for them this season. DePaul received 12 votes, meaning six of the nine BIG EAST coaches picked them to finish last. Junior Eli Cain will pace DePaul after leading the team last year with 15.6 points per game. He is the only returning player to average more than 10 points per game last year. Much of DePaul’s success will revolve around the fate of its newcomers. With only seven players returning, some of the 11 fresh faces will have to take on veteran roles immediately.